The nomination period is open for NSCA members to apply to serve on the NSCA Advisory Council for the 2018-2019 term. The deadline to apply to serve is Friday, September 22. We currently do not have adequate nominees to fill all available positions, so we urge members to consider serving in this capacity. The Advisory Council is comprised of NSCA members exhibiting the highest devotion to the sport, the members, and the association. The primary function of the Advisory Council is to promote and guide the Association and review and approve all committee recommendations made to the Executive Council. Three meetings of the Advisory Council are held each year, and members must attend at least two of them; all are required to attend the annual winter meeting, and they must attend the meeting at either the U.S. Open or the National Championship. The Advisory Council has 45 available positions, divided equally between representatives of Shooters, Range Owners, and Industry. No range or industry company may have more than one representative on the Advisory Council at one time. Current Advisory Council members who wish to serve another term must re-apply and complete the same process as other nominees. Advisory Council members must shoot a minimum of 500 registered targets at registered shoots each year, including the year immediately preceding their year of election. 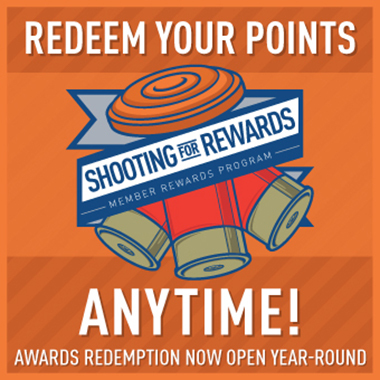 Range owners must shoot their eligibility targets at ranges other than their own. To run for a position on the Advisory Council, submit an Advisory Council Nomination Form by September 22, 2017 to Glynne Moseley, as noted on the form. Nominees must be endorsed by five (5) current paid NSCA members. Complimentary Limited Membership (CLM) members and Crossfire members (NSSA members who shoot NSCA targets) are not eligible to run for the position or to endorse another member’s candidacy. Current National Delegates will elect the new Advisory Council, which will serve a two-year term beginning January 1, 2018.